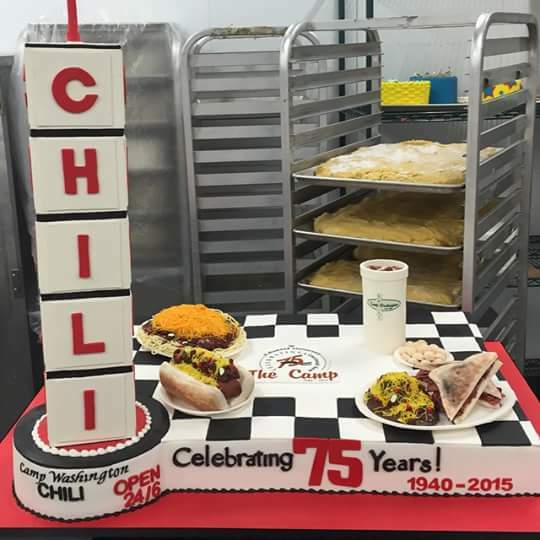 75th Anniversary Party at The Camp! Please join us on May 5 @ noon to celebrate our 75th Anniversary! We will have 75¢ cheese coneys and discounted chili prices, live music, give-a-ways, and cake from celebrity pastry chef Buddy Valastro… the Cake Boss! (while supplies last) Don’t miss out on the fun!